NATS, the UK’s leading provider of air traffic management and solutions, has appointed Jonathan Astill as its new Director of International Strategy. Jonathan succeeds Alastair Muir, who was recently announced as the new Operations Director of NATS’ Prestwick centre, and will be responsible for delivering the company’s global strategy. He will specifically focus on NATS’ position in Europe, ensuring NATS continues to play a leading role in SESAR – the Single European Sky Air Traffic Management Research programme. Jonathan joined NATS in 1989 and following training, was an air traffic controller from 1991 to 1997. Since then he has held a wide variety of strategic and operational roles across NATS, including most recently as the General Manager Area Control at NATS’ Swanwick control centre. 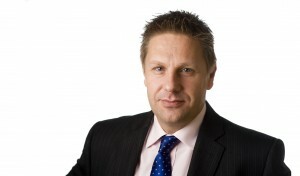 On announcing the appointment, Martin Rolfe, Managing Director Operations, said: “I would like to congratulate Jonathan. His considerable experience both in NATS operations and across a number of key European and global initiatives made him the natural choice. Jonathan will take up his new role on 22 February.